Poverty is hugely expensive. So is war, corruption and tribalism. The Philippines is richly endowed with all four. Studies have shown that a high child poverty rate means higher healthcare spending, drop-out rates and crime. Manila's thousands of informal settlers, living in stilt houses with thatched roof, are the most striking faces of poverty in the Philippines. Yet, away from the media glare is the grind of humiliating want in far-flung provinces faced by millions more. 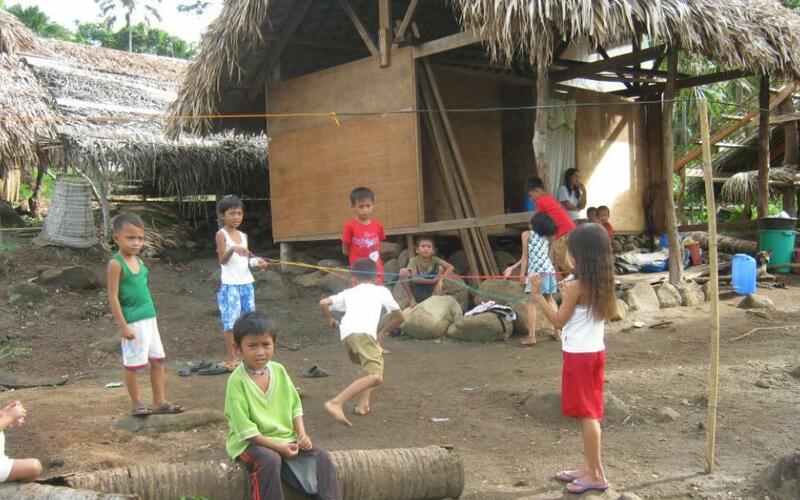 The Philippines has the most persistent poverty in South-East Asia. 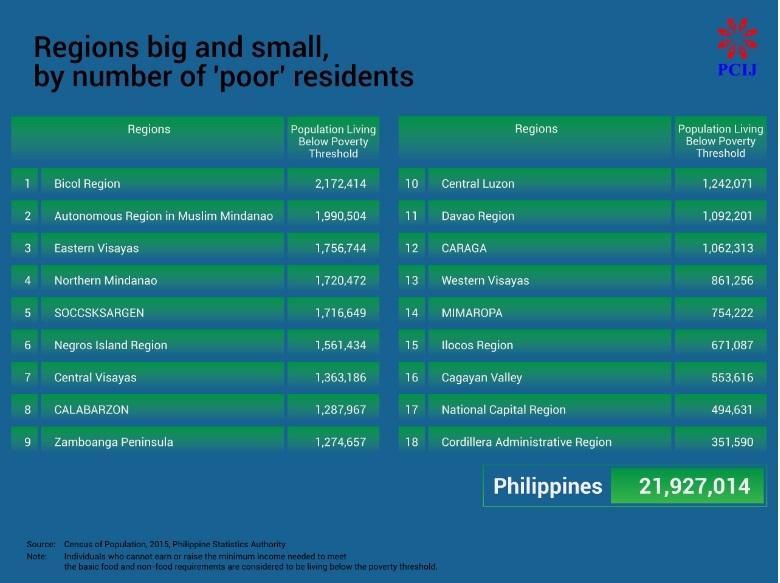 Two regions consistently posted the highest poverty levels: the Muslim-majority Bangsamoro in the south, and Bicol region, in the east, Philippine Statistics Authority (PSA) figures show. 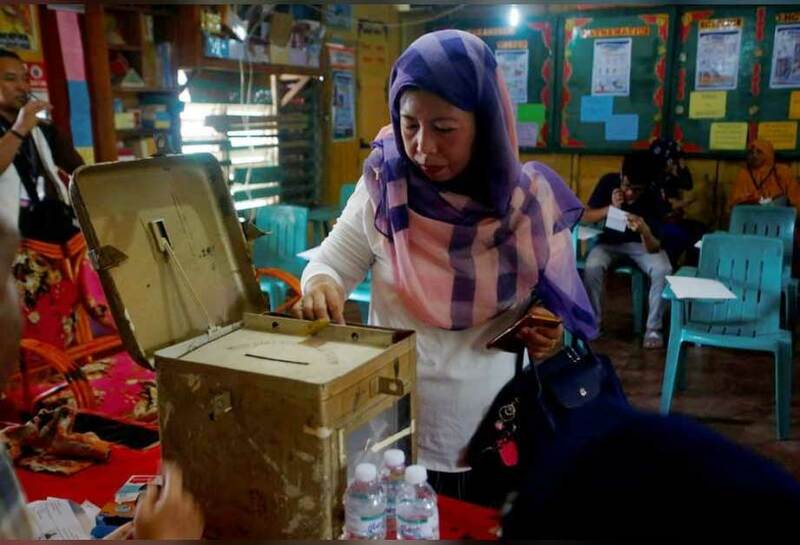 The Bangsamoro, whose people endured centuries of "pacification" bids that led to untold number of civilian and military casualties, recently voted a resounding "yes" (85%) to self-rule, in a January 21, 2019 plebiscite. Bicol, for its part, remains torn by Maoist rebellion, as are other regions in the country. These regions hold much natural beauty, unspoilt by mass tourism. 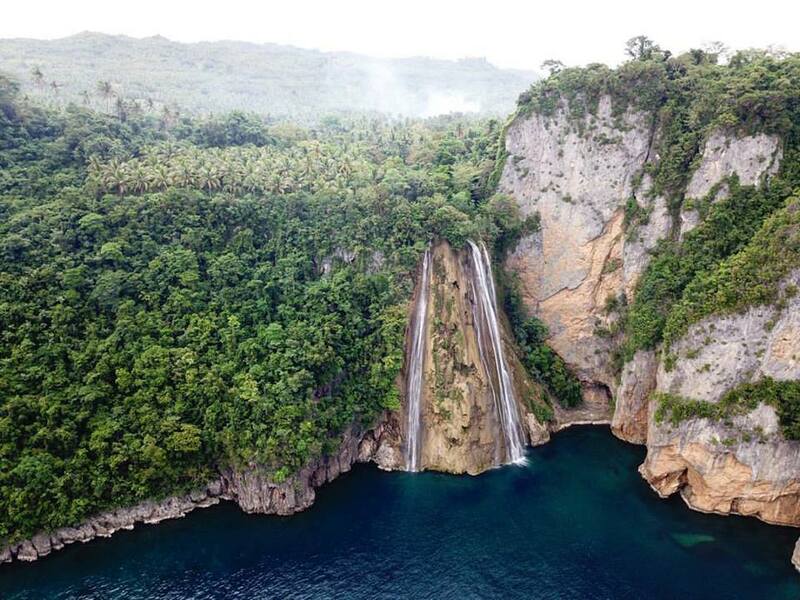 When irresponsible miners — able to pay top lawyers to defend them in Manila's courts after toxic spills that kill the land, water and sea — do their island hopping, how long would such natural beauty last? 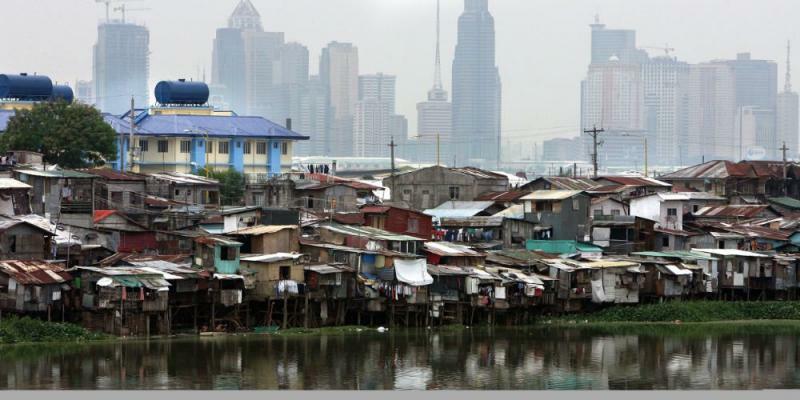 Despite Manila's widely-reported urban blight of "squatters", the Philippine capital (also known as the National Capital Region) posted the lowest poverty rate, at 3.9 per cent, PSA data show. This is in sharp contrast to the poverty incidence in Bangsamoro at 52.7 per cent, currently the highest in the archipelago — nearly 14 times more than Manila's. The Philippines posted a per-capita income of $10,030 (compared to Thailand's $17,090 and Malaysia's $28,650), according to a 2017 World Bank data. Bicol, in the country's east, is where the most number of poor Filipinos reside — 2.172 million residents live off $1.25 (Dh4.7) or less a day, according to PSA. This means the number of poor people in this mineral-rich region is roughly equivalent to the total population of Dubai (2.2 million) in 2015. In terms of actual number of poor people, Bangsamoro came in second, with 1.99 million residents living off $1.25 or less a day. The 5 provinces under the Autonomous Region of Muslim Mindanao (ARMM — Basilan, Lanao Del Sur, Maguindanao, Sulu and Tawi-Tawi) — saw poverty incidence at 52.7 per cent in 2015 (up from 47.1 per cent in 2006). 4 out of 10 children in ARMM received no vaccinations. All Philippine laws, including land rights and economic legislation are crafted in Manila. Most Philippines Senators are from Luzon, the main island where Manila is. The Bicol province of Camarines Sur (5,497 km2) is bIgger than Dubai (4,114 km2). 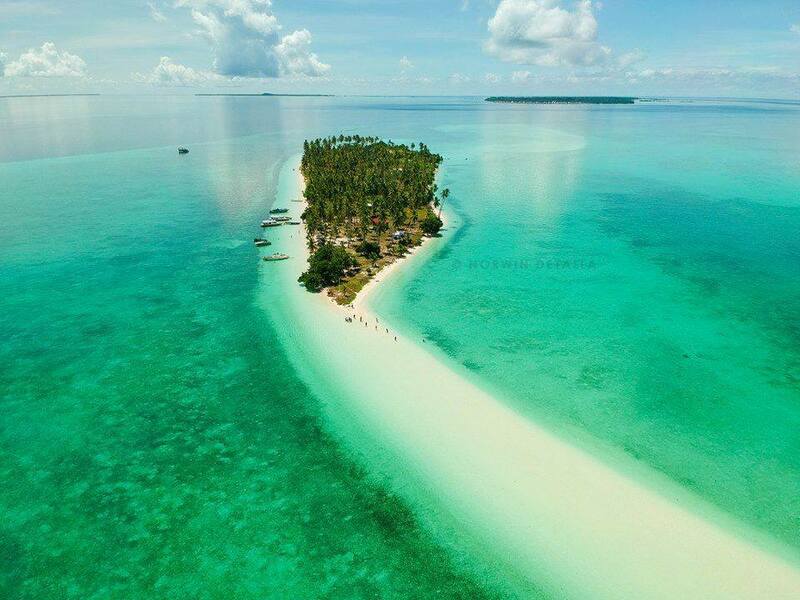 The island of Basilan in Mindanao is 2 times bigger than Singapore. More than the lack of money for daily sustenance, poverty for the Bangsamoro also means poor health: a 2017 report published by the Philippine Statistics Authority showed that 4 out of 10 children in ARMM have not received any vaccinations. Is this a curse? More to it, is this a constitutional curse? Since the 1980s, the Moro and Bicol regions have consistently rated poorly on most indicators, such as income and child mortality. This vicious cycle has many roots. Among them is the rigidity of the country's Constitution, ratified in 1987. The Charter, a pushback against the two decades of bloody and kleptocratic Marcos dictatorship, was crafted by an unelected body handpicked by the former president Cory Aquino government in 1986, after Marcos and his thieving minions fled the country. Today, 33 years later, the Constitution has become an unforgiving spoiler: It centralises all decision-making, including those that are economic in nature, in Manila. 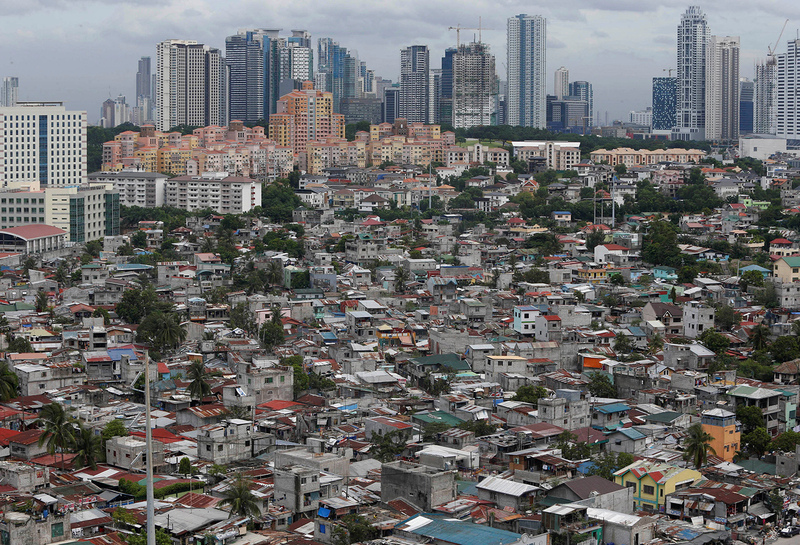 And despite increasingly louder calls for an overhaul, specifically to turn regions into states empowered to chart their own economic destiny, the odds are tilted in favour of Manila, the country's richest region (National Capital Rregion). For example, up to 20 out of the 24 present senators in the Philippines (elected in a national ballot), are from Manila, or neighbouring regions in Luzon. The Senate and House of Representatives hold the key to any constitutional amendments. Given this emotional attachment to Manila's centrality in governing this huge archipelago (with a 36,289km coastline, compared to 2,389 km in Germany, a federalised nation), generations of Filipino legislators are unable — or reluctant — to craft long-overdue amendments to redistribute decision making. For example, up to 20 out of the 24 present senators in the Philippines (elected in a national ballot), are from Manila, or neighbouring regions in Luzon. What the PSA figures show is hidden poverty: The poorest in the Philippines live not in its blighted city dwellings but in rural areas. They work in the agriculture sector, mainly in farming and fishing. That these regions are forever poor is no scandal. What’s shocking, however, is how they're richly endowed. A case in point: In Maguindanao, part of the Bangsamoro, the earth beneath the Liguasan Marsh (220,000 hectares) straddling two provinces, holds an estimated $1 trillion worth of recoverable natural gas deposits. Bicol, for its part, has rich volcanic and agricultural land. Its mountains laden with gold. Most of Bicol’s land today, however, had been parceled out by Manila-based miners, operating under laws crafted in the capital. Here's another: A huge chunk of the power that lights up Manila and Luzon comes from two big power stations in Bicol — Tiwi and Bacman geothermal power plants have a combined rated output of 450MW. Bicol (total land area: 1,763,252 hectares) is a romping ground for mining outfits. Masbate (4,151 km2) alone, which boasts of several gold mines, is five times bigger than Singapore's total land area, but with just 1/6th of the population. But here’s one headscratcher: Up to 70 per cent of the region's land, declared by the Manila government as “alienable and disposable", had been parceled out to miners — most of whom are bankrolled by Manila money, usually with foreign partners. For a land so blessed with natural riches, it makes one wonder why it's the poorest. Albay: Gold, copper, coal, lime, clay, gypsum, perlite, and coral rocks. Camarines Sur: Chromite, nickel, copper, iron, gypsum and pumice. Camarines Norte: Gold, silver, iron ore, lead, zinc, limestone, sand, clay and marble. Masbate: Gold, manganese, limestone, silver, iron, chromite, lead, zinc and coal. Catanduanes: Gold, silver, coal, manganese, marble, kaolin and phosphate rocks. Sorsogon has sulphur, coal, limestone, iron ore, and manganese. There's big money in mining. In 2012, metallic minerals (copper, gold, silver and zinc) in Bicol generated nearly Php10 billion ($224 million) in revenues, based on data from the Department of Environment and National Resources (DENR) and the Mines and Geoscience Bureau ( MGB, Region 5). Of that, 86 percent came from gold mines. Most of it went to the miners and, through taxes, the public coffers. These coffers are emptied each budget year through deficit spending passed by Congress. Some 983,300 hectares (more than 12 times bigger than the land area of Singapore) are under approval for FTAAs — or financial and technical assistance agreements — in the region. 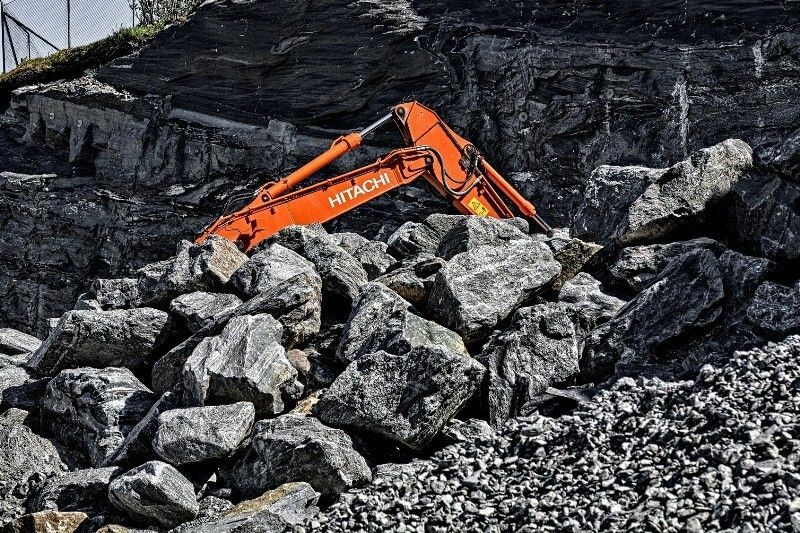 Moreover, 332,469 hectares are being targeted for MPSAs — or mineral production and sharing agreements. Morever, there are at least 14 more mining corporations that have approved exploration permits in Bicol. Besides confirned gas reserves on Liguasan Marsh, Bangsamoro areas are also richly endowed. Until 2016, the Philippines was the world's biggest nickel supplier, producing 347,000 metric tonnes of nickel ore in 2016. Most of the country's nickel come from mines in Mindanao. Tawi-Tawi, an island province in the southwest, is a key source of nickel, iron and chromite. 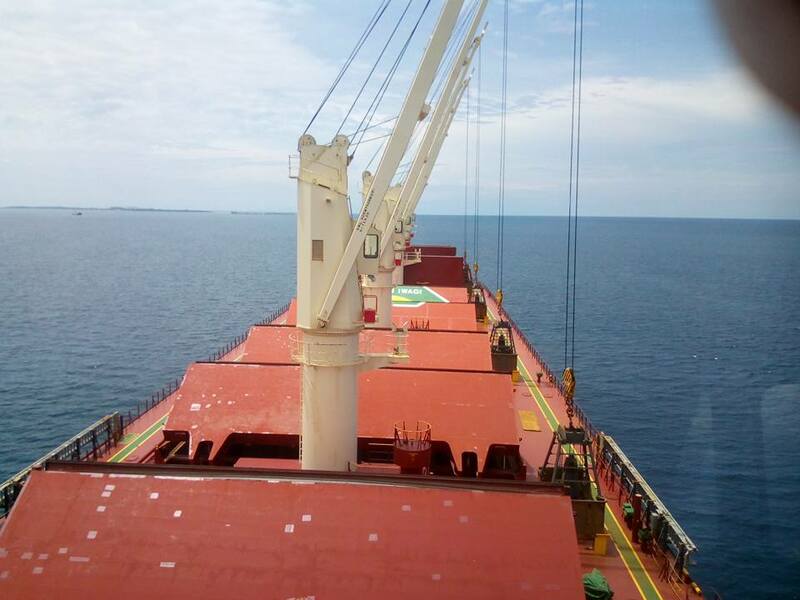 Cargo ships loading tonnes of nickel bound for China, are a common sight off Languyan town's Tumabagaan Island. In 2017, Indonesia overtook the Philippines in nickel exports, when President Rodrigo Duterte briefly implemented a mining ban — now lifted, after Duterte's first activist environment secretary, Gina Lopez, was thrown out by the Commission on Appointments, a powerful Constitutional body that confirms presidential appointments. Statista, a data portal, projects global demand for primary nickel, a key component of batteries used in electric vehicles (EVs), to grow from 1.8 million metron tons in 2015 to 2.19 million metric tons in 2020. Glencore, a US-based mining firm, projects nickel demand to spike from 2025, as EV penetration grows. 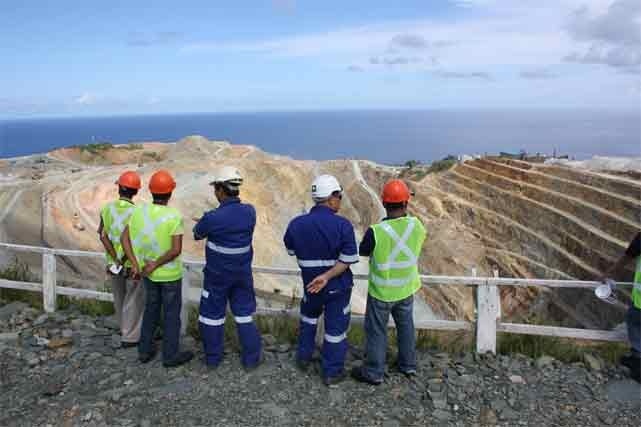 Singcara Mining and Development Corp.
Another mineral-rich region is Caraga's five provinces — Dinagat Province, Surigao del Norte, Surigao del Sur, Agusan del Norteand Agusan del Sur — in the northeastern part of Mindanao. Caraga Region now hosts several mining projects producing various commodities such as gold, copper, chrome, nickel, iron and limestone. It is also one of the poorest (see table). Despite widespread for a more equitable distribution of its natural abundance, the set-up in the Philippines has been the same: Keep economic power and decision making in Manila. If rebel provinces rise up, use the army. Meanwhile, locals must sometimes bear the brunt, being at the receiving end of irresponsible mining. On the Rapu-Rapu island in Bicol's Albay province, trees and wide swathes of fishing ground were decimated following two toxic spills from open-pit mines in 2005. This disaster involved two foreign mining firms. There are two good examples of how mineral wealth is harnessed to benefit the people: Norway and the Gulf countries. Norwegians own and operate their mineral resources (oil), through the state-owned Government Pension Fund Global, which today owns assets worth $1 trillion. It invests in diversified assets: stocks, bonds, properties, commodities worldwide. Gulf countries, such as the UAE, have built up massive soverign wealth funds (SWFs) from their oil wealth, which are invested in diverse assets globally. The Philippines, despite its mineral wealth, has no SWF — until now. Proposals are afoot in the House of Representatives and Senate, but are they now stalled. The May election fever is on. The next crop of lawmakers must buckle down to harmonise conflicting provisions. Unlike the two examples where the state is the owner of mineral extraction, the stake of Philippines' Department of Energy (DOE) in the Malamapaya gas project, off Palawan province, for example, is only 10 per cent — with much of its profits ploughed back to the Bureau of Treasury, spent within the next budget year. Or worse, plundered. 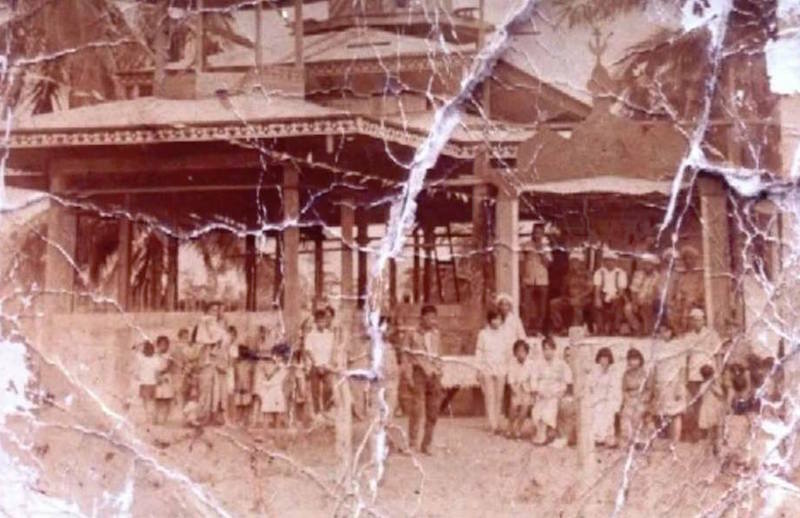 The result: A vicious cycle of poverty, resentment, Manila's control mania, and the deadly cocktail of separatism and rebellion. 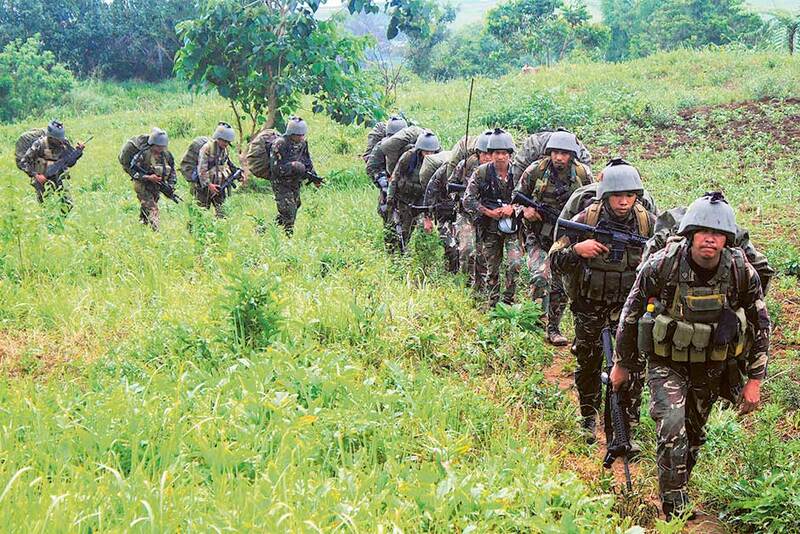 Amids the violence that threatens the state, the Philippine military becomes the final arbiter. The result is a lingering low-intensity conflict. 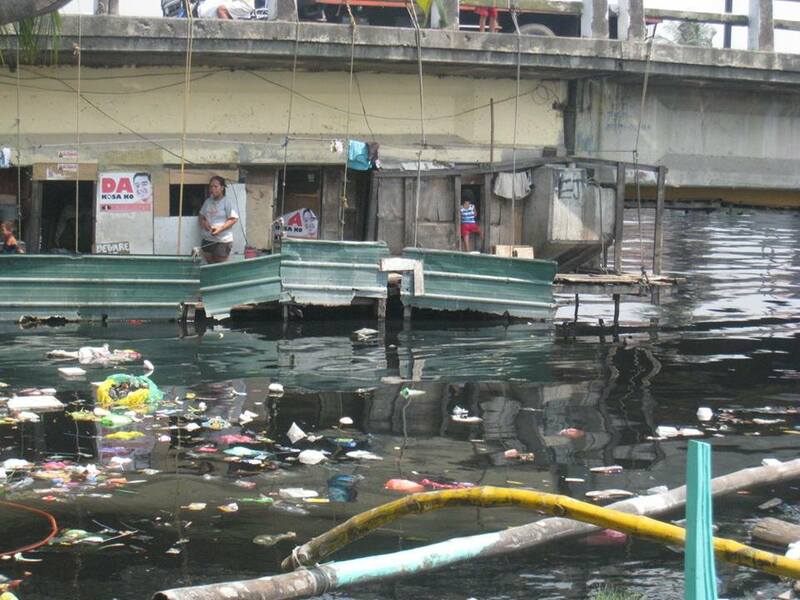 It perpatuates Manila's overwhelming control over the national economy. Corruption at the Bureau of Customs, the gatekeepers of trade, only improve the lives of the inspectors and their families. Meanwhile, a great number of Filipinos endure daily horrors of severe want and, sometimes, mass murders that border on ethnic cleansing. On September 24, 1974, two years after the dictator Ferdinand Marcos proclaimed Martial Law, 1,500 male Moros aged 11-70 were massacred inside the Tacbil mosque in Malisbong village of Palimbang town, in province of Sultan Kudarat. It was the biggest single-day mass murder in the Philippines. Corruption, and communist rebellion are inscrutable challenges that perpetuate this vicious cycle. But there's also the undercurrent of tribalism at work. Every encounter between two Filipinos aboard, this question would invariably pop up: "Saan ka sa atin? (Tagalog for: "Where are you from, in our land (country)?". It's a guaging encounter. Those who are raised in the Tagalog region, where Manila is, consider themselves vastly superior to those who hail from others, especially the South, denigrated as the rednecks of the Philippines. Under Ferdinand Marcos, Ilocanos dominated the military. It's not always solid: Infighting among Ilocanos in military establishment led to Marcos' ouster in 1986. Today, many of the Cabinet men of Duterte, who is from the South, are Ilocanos from the North. Many of them are former military generals. In the Philippines, tribal loyalties define the outcome of national elections. Tribalism is more powerful than truth itself. In the Philippines, tribal loyalties define the outcome of national elections. It is more powerful than truth itself. Marcos plundered the nation's coffers and hid them in Swiss accounts, some of that loot was returned by the Swiss. His family is now firmly back in politics, thanks to the vote-rich Ilocos region, the "Solid North" tribe to which his family belongs. In November 2018, a Philippine court ordered the arrest of Imelda Marcos, 89, on seven counts of graft. The evidence: she made seven bank transfers totalling $200 million to Swiss foundations during her term as Manila governor. The court ordered her to serve six to 11 years in jail for each of the seven counts, or at least 42 years altogether. Her lawyer is contesting the ruling before the Supreme Court. The Marcos family was toppled in an army-backed popular uprising in 1986, but after a few years in exile in Singapore and the US, they all came back. Imelda already served three terms as Congresswoman, and her daughter Imee (María Imelda Josefa Romualdez Marcos), 62, is a front-runner in the May 2019 Senatorial elections. Ferdinand Marcos Jr, nearly won the vice-presidential race in 2016. It's almost become a given today: In a national contest, anyone with a Marcos family name would be the candidate to beat. The military, with its record of coups against the state and victories against rebels, keeps the republic intact. After a tactical gain, the soldies go back to the barracks. The same toxic situation remains. Then next military campaign — or coup — is planned, executed. No hope for a federal Philippines? What's the solution? There's no magic bullet. But there's a ray of hope. The January 21 plebiscite on the Bangsamoro Organic Law (BOL) shows promises an economic upside for the Moros. In 2017, congressmen from six northern provinces (Abra, Apayao, Benguet, Ifugao, Kalinga and Mountain Province) of the Cordilleras, a mineral-rich but landlocked region in the northern Luzon, had also called for autonomy. Both would theoretically become semi-states, within the Philippines. It's a rare chance to right the centuries of wrongs done by Manila-centric rule. For other regions, however, the overwhelming "yes" vote for BOL, bears an underlying message: If you want economic freedom, first launch an armed independence bid. Get some of your people massacred, and maybe the oppressors in Manila will take notice. Never mind if in 1889, the Philippine national hero, Dr. Jose Rizal, wrote in La Solidaridad about his desire for a federal set-up in the Philippines after the end of Spanish colonisation. President Rodrigo Duterte, considered an outsider among the Manila-based power elite, revived the federalism campaign. The Manila oligarchs, and the church condemn him. His first choice of environment minister, who shut down mines, was blithely thrown out. Federalism is now dead in the Philippine Congress, especially the Senate. The 1987 Constitution prescribes no regional legislative chambers. Senators are elected in a nationwide popular vote. In the last 30 years, out of more than 100 Senators elected, only two came from Bangsamoro areas. Anti-federal campaigners fear a possible "disintegration" of the Philippines. In reality, the Philippines is so widely scattered geographically, and a central administration over acomomic activity to ensure inclusiveness has never worked. To expect a differen result, by repeatedly doing the same thing, is folly. To be sure, the Bangsamoro self-rule is a welcome change, though much needs to be done to make it work. Given the institutionalised dispossession of the great majority of Filipino, only their collective action and enlightened give-and-take can address roots of poverty, make growth inclusive and achieve lasting peace. This requires new thinking, and ways of doing things. It requires thinking outside the box; certainly outside the traffic-clogged streets and smog-filled air of Metro Manila. Meanwhile, to console the poor, Christian preachers of every stripe often repeat this refrain from the Bible: “Do not store up for yourselves treasures on earth, where moth and rust destroy, but store up for yourselves treasures in heaven, where moth and rust do not destroy, and where thieves do not break in and steal."